This season has proven to be a spectacularly quiet one in the Transfer Market. In fact, we’re sure that this is the lowest number of signings in time for the opening game of the Premier League season that there’s been in a long time! But that’s not to say there’s not been a few choice purchases – several of the World Cup show-stoppers are now calling England their home as they look forward to their first competitive game in their new club’s colours. 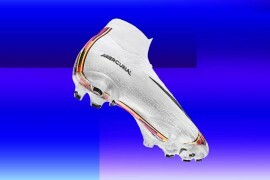 Footy-Boots.com takes a look at some of out picks of the summer signings and gives our prediction, as well as – of course – what football boots they wear! Powerful forward Marouane Chamakh has already begun to make an impression at the Emirates, scoring on his home debut in an Emirates Cup match against AC Milan. 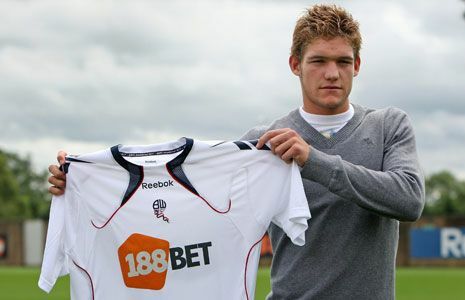 Bolton fans must have thought all their Christmases had come at once when they heard they’d signed Alonso from Real Madrid! Whilst not quite as illustrious as the ex-Liverpool midfielder, Marcos is one of the most exciting young talents Europe; quick and adaptable anywhere down the left flank. He also has an discerning taste in football boots; the 19 Year Old turned out for the Trotters’ friendly with Osasuna in a ‘Well-Loved’ pair of Nike Tiempo Legend II‘s with the tongue removed! Clearly the sort of player who knows what he wants! Combative midfielder Poulsen seems like the perfect replacement for the wantaway Javier Mascherano – and may well be thrown into the deep-end in Liverpool’s season opener against Arsenal this weekend in the defensive midfield role. Poulsen is another player coming into the Premier League with a specific taste in football boots – this World Cup the Dane stuck with his trusty Nike Total 90 Laser II football boots, shunning the temptation of not only the Laser III, but the pricey Elite Series model too – showing the 30 year old is clearly made of stern stuff! One of several marquee signings by the ever-busy Manchester City, Silva arrives at Eastlands a World Cup winner after providing a small contribution this World Cup. The 24-year-old has looked in good form this pre-season, even salvaging a draw for the new World Champions by grabbing a late equaliser against a tough Mexican opposition. 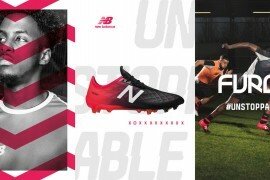 Silva has also switched his footwear over the summer, having played in adidas adiPure III football boots for his domestic season with Valencia last year, it’s no surprise City’s new number 21 opts for the Leather Upper version of the adidas F50 adiZero. Fresh-Faced Hernandez has already made quite an impact at Old Trafford. Not only by netting in three consecutive pre-season games with the Reds, but also by capping Manchester United’s Community Shield win over Chelsea with a goal scored by crossing the ball into his own face. Magic! Chicharito has also been a favourite among boot-spotters over the World Cup, opting to trust his standard Tiempo Legend III‘s, rather than joining all his Mexico team-mates in wearing the Elite Series version of his favourite football boot. Interesting fact – Hernandez was also clocked as the fastest moving player at the World Cup, with a higher top-speed than anyone else in the competition; a staggering 32.15 km/h! Sandro (right in the picture above) is yet to make an appearance in a Spurs shirt, as he’s currently having his Internacional swansong in the Copa Libertadores, the 21 year old already has a reputation for excellent ball retention and being a real rock in front of the back four. The young Brazilian is yet another adidas F50 adiZero convert, as he relied on the adidas Predator_X for much of last year’s campaign. It would seem that he’s looking to add another dimension of pace to his game as he prepares for life in the Premier League. ‘Der Hammer’ returns for another season in the Premier League! A former favourite among Aston Villa fans, Hitzlsperger arrives at Upton Park on the back of an unfruitful season at Lazio. Hammer fans will be hoping the experienced midfielder will be able to lift their season to another level, and avoid another relegation dogfight. Who are you looking forward to seeing play for your team? 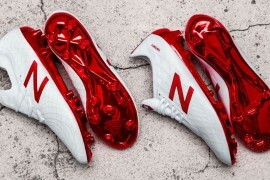 Or have you seen a player trying out some interesting boots ahead of the new campaign? Hmm, adidas have surely struck a cord with the adizero’s. I’m quite peed off that there’s already Prime’s lined up. Has any1 got any idea how much the difference in weight and if it will be much difference? Ive bought the copa mundials pre season and love them, dont think there is a better boot around. 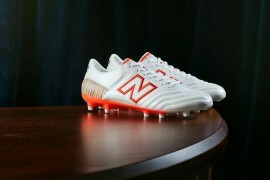 just wish I bought them before, pure class! harry is right, he is talented and if he really thinks he’s ronaldo he must hate himself because ronaldo has sucked since Man U. Nicklas Bendtner has already taken this role though, with his ability to score only in a perfect scenario. And what is with his whole pink cleat infatuation? the whole part about Thomas Hitzlsperger is wrong. He never played for Bayern Munich but for VFB Stuttgart and then a few months in Italy (Rome). And he is waering Puma boots for several years.